Boats often have live wells, which are used for fishing to keep fish alive when the catch is in the boat. Live-wells are not the only systems on boats that have pumps and pipes that circulate water; bilge-pumps are used to pump water out of your boat that can get in it will on the water. Before you store your boat for the season, you will need to remove all the water from these systems to prevent damage caused when freezing temperatures come. Marine engines are notorious for giving boaters problems when they are out on the water. Some of the problems are due to the boats sitting in storage and lack of maintenance before they are taken out of the water. Do a complete servicing of your engine before you park your boat in storage. 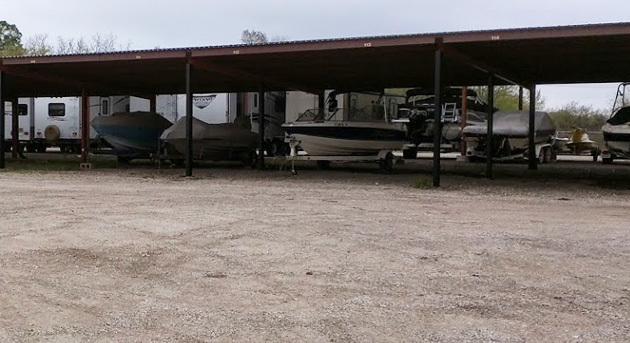 In addition, change all the fluids and add treatments to the gas and oil to prevent them from degrading when your boat is in storage for an extended period of time. You will also want to protect the exterior of your boat from the elements. Invest in a good cover that fits your boat to keep it covered when in storage. Any materials that are exposed should be cleaned and treated with a protective cleaner. Vinyl should be treated before you put the boat in storage to prevent it from drying out. In addition, clean and wax any paint to protect finishes from damage while your boat is in storage. Make sure you remove personal items from the interior of the boat and do a thorough clean to ensure your boat is safe from damage. These are some of the essential maintenance tasks that you will need to do before your store your boat for the winter this year. Contact us for help storing and maintaining your boat while you are not on the water this winter.